Just in time for the 2015 legislative session, the official web site of the North Carolina General Assembly has been given a facelift. 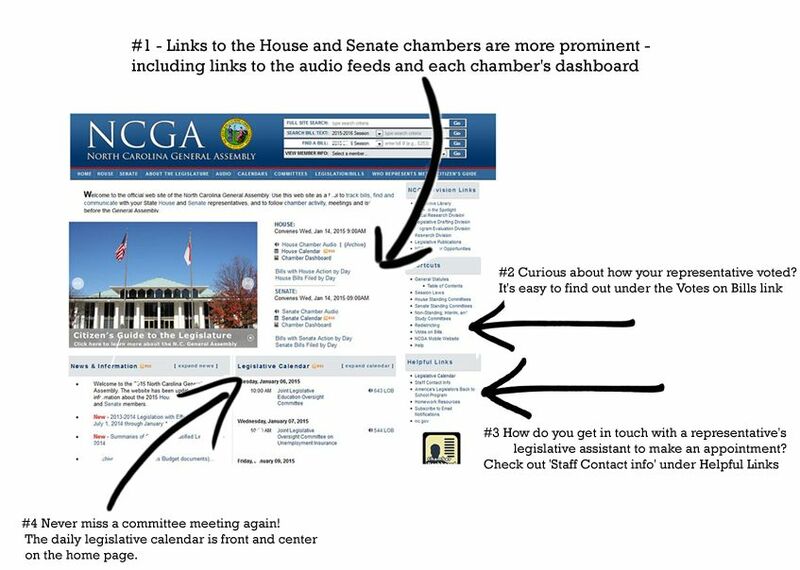 The redesigned site makes it easier for North Carolinians to follow chamber activity, stay up-to-date on committee meetings, and communicate with House and Senate members. Finally, a useful and relevant post on the pulse. 2015 is already an improvement over 2014 and the GOP has not even been seated yet up in DC!